Computer tables, as opposed to desks, have a minimalistic design. They’re simply a flat surface and 4 legs – a table! Some have a drawer or two for light storage but all in all, they’re a very simple piece of furniture. If you’re in the market for a minimalist workstation, then take a look below at the 5 best computer tables on the market. Computer tables are great because they can serve many purposes and are a nice piece of furniture that won’t look out of place in room other than an office. Imagine a traditional computer desk in your apartment living room… not so attractive, right? A traditional, heavy, bulky computer desk isn’t necessary for many of us these days. We work from laptops or a modern desktop computer that doesn’t have hard drive towers or, if they do the towers are very small and don’t necessarily require a dedicated shelf or cabinet. Another benefit to purchasing a computer table is that when you’re not using it as a work station, it’s simply a table. You can use it for whatever you like – sewing desk, arts and crafts, kids activity table, an extra table for big family dinners… anything! Since they’re constructed of minimal materials, they’re all easy to assemble and lightweight making it easy to re-locate or move temporarily. When looking for the right computer table for you, there are a few things that you need to consider. In addition to your budget, you should also think about available space, professional needs, and work style. 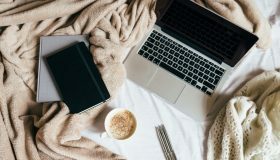 You don’t want your home office or workspace to be overly cluttered, as this makes for a distracting environment and can affect your productivity. Instead, there should be plenty of room for you and potential work colleagues or clients to move around with ease. Your desk should have at least a few feet of space behind it. This is so that you can comfortably maneuver in and out of your chair without straining yourself. Ideally, there should also be a couple of feet free in front of the desk as well. That way, if you ever have professional guests, you can seat them comfortably. It’s also best to look for a computer table that can accommodate your height. While some models are adjustable, many sit at a predetermined height. 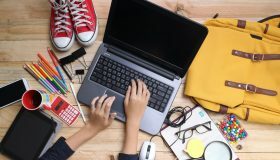 Most people find between 28 and 30 inches to be an acceptable height, but those who are taller or shorter than average may have to look for desks in a different size range. The surface of your desk needs to be large enough to comfortably fit your laptop or computer and equipment such as a mouse, keyboard, printer, or fax machine. Underneath, you should be able to accommodate your computer tower without getting in the way of your feet. Some computer tables come with a keyboard platform attached. This feature not only frees up room on the surface but also sets your keyboard and mouse at a more comfortable height for typing. If you use a lot of electronics in your office, you may want to look for a desk with built-in wiring holes or specialized channels for cords and wired connections. It will keep everything neat and tidy and make it easier to fix electrical issues when they inevitably pop up during the workday. Computer desks come in a wide variety of different materials, from cheap particle board pieces to hardier models made of oak or mahogany. 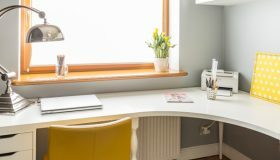 When looking at computer desks for a home office, it’s best to opt for materials that can withstand heavy wear-and-tear. Wood desks are a popular choice as they hold up well over time, but they are susceptible to marks and damage from sharp computer components. Laminate is a better choice for computer users, as it’s not only more affordable than wood but also able to withstand more abuse. A thick plastic finish is applied to a wooden core to protect the desk from aesthetic damage. Metal or steel is perhaps the most durable material, though not the most popular. 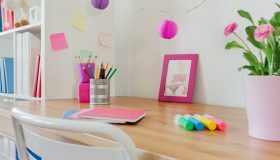 For high-traffic areas, or for those of you who are worried about the destruction wrought by tiny hands, a metal desk holds up better than most alternatives. No matter what type of desk you’re looking for, we’re here to help. Here are our top five picks for the best computer tables you can find for your workspace. 【Dimensions】L55″ x W23.7″ x H29.5″, provides large working space. 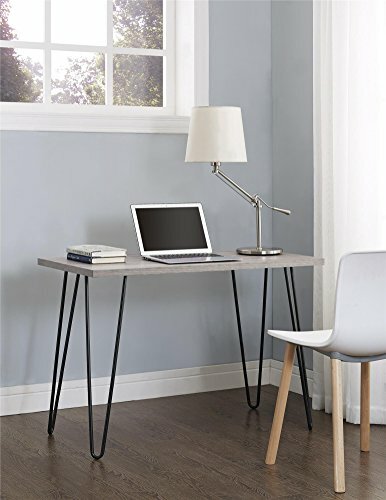 This sleek yet simple computer table has a modern design and comes in a variety of colors to suit any home office. It’s extra large, boasting a working space that measures 55 by 23.7 inches. The Need Computer Desk has a solid build, with panels made of E1 particle wood. The finish has a high tolerance for friction and is scratch-resistant. The table’s frame is made of metal measuring 1.22 millimeters thick, which is 1.3 times the thickness of most desk frames. This assembly keeps the entire assembly stable, even with heavy use and abuse. For those of you with limited carpentry experience, the Need Computer Desk is designed for easy assembly. It comes with just over a dozen parts and simple instructions. This desk is certified with The Benchmark for Sustainable Commercial Furniture (BIFMA), meaning it adheres to strict safety and performance standards. It’s unlikely to splinter or collapse, protecting both your work equipment and yourself from harm. 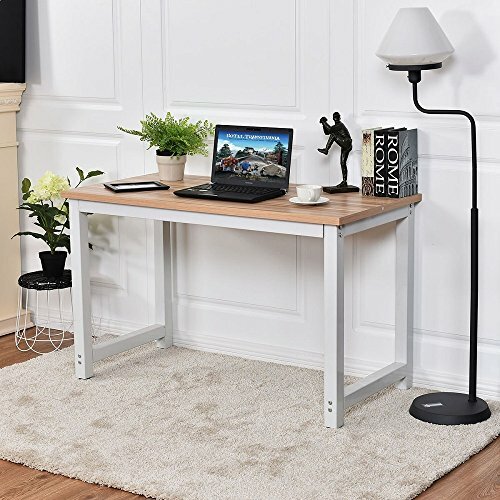 This minimalist computer table is designed with a retro feel in mind, boasting a thin slab top and stylish metal hairpin legs with contemporary lines. Thanks to its design, the Ameriwood computer desk can be assembled in just a few steps. Once set up, it measures 40 by 19.5 inches and can support up to 80 pounds, making it ideal for smaller workspaces and laptop setups. The slim profile of the Ameriwood Retro Desk also makes it easy to fit into cramped spaces. You can easily store equipment such as your computer tower underneath the desk without compromising your leg space. 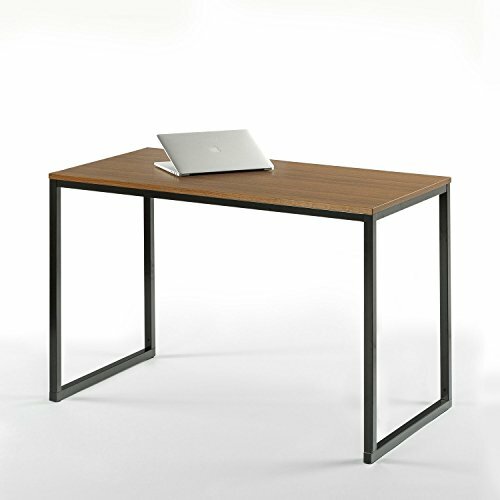 While the legs are made of durable powder coated metal, the desk’s surface is laminated particleboard. It holds up well against daily use without showing scratches or splinters. 〖Easy to Assemble and Move〗The desk comes with detailed manual and complete accessories…. 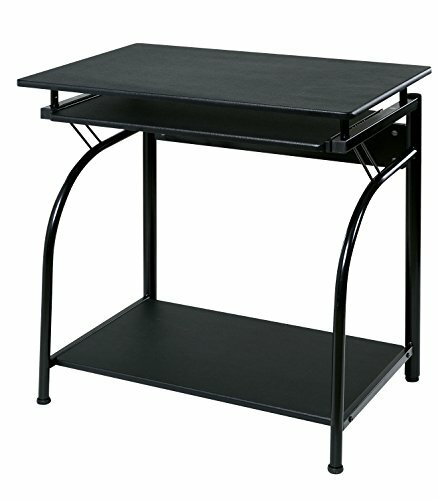 This computer table is both sturdy and spacious, with a surface measuring 47.2 by 23.6 inches. The edges are smoothed over to prevent accidents and injuries, which is a great feature for those working around small children. The frame of the CHEFJOY computer desk is made of steel, keeping it stable even when you’re typing. Protective foot pads add to the overall stability and prevent the piece from damaging hardwood or carpeting. This desk is made to be easy to set up and move around as necessary. It comes along with a detailed instruction manual and all of the accessories that you need for assembly. The desk is also light enough to move by yourself if necessary. 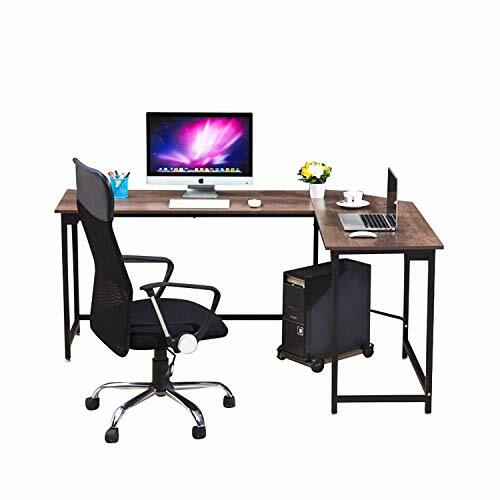 Though simple, this computer table offers all of the features that you need to keep yourself comfortable as you work. The desk surface measures 47 by 24 inches, giving you plenty of space to spread out. It’s also 29 inches tall, making it roomy enough for even those of us with long legs. 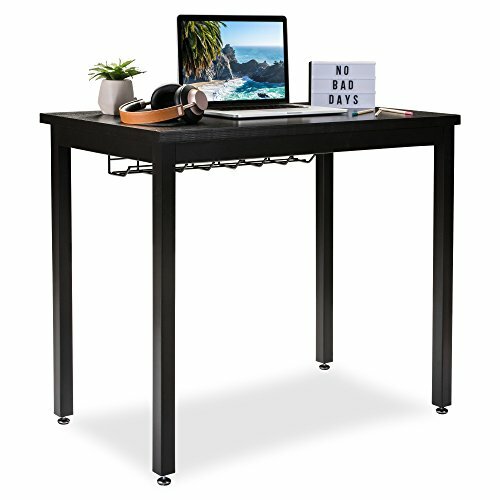 The legs are made of black steel tubing with a unique stabilizing design that keeps the desk from wobbling when in use. The top boasts a rich wood grain finish, adding an elegant touch to any workspace. The Zinus computer table comes with a one-year limited warranty, ensuring that your purchase comes risk-free. This computer table is built for small spaces, with a surface measuring just 36 by 22 inches. It boasts a built-in cable tray attached underneath, helping you to keep wires organized and out of the way. The desk’s frame has high-strength steel tubing that’s around twice as thick as other similar designs. It can hold a good deal of weight, which is ideal for older PC models and large computer equipment. The surface of the Office Oasis Computer Desk is over one inch thick, making it resistant to cracking or breaking. It’s also waterproof, protecting it from spills or environmental damage. We love the Need Computer Desk thanks to its simple, sturdy structure. It’s large enough to support most computer setups, and the design uses durable materials that can withstand heavy use. 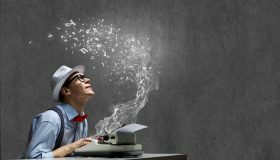 Without the right computer table, you may find yourself losing productivity during the workday. The right desk can help you to stay comfortable and focused as you work and help you to reach your professional peak.